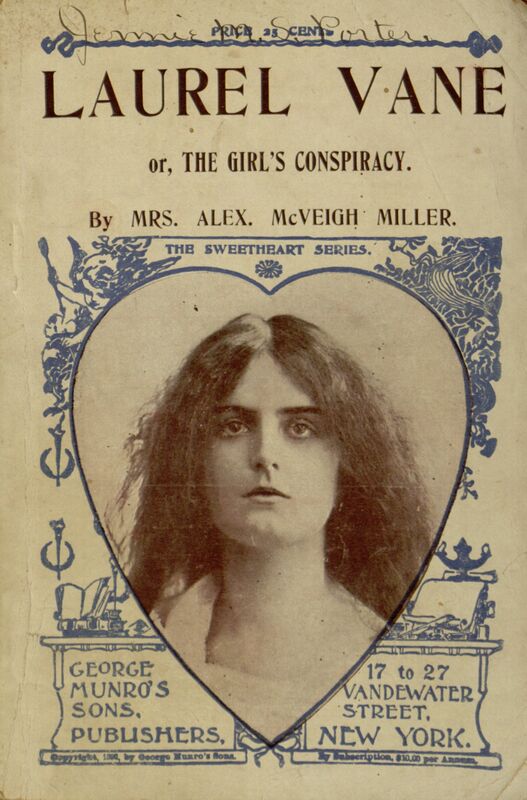 The latest release from Distributed Proofreaders built from images in our Digital Library is another Mrs. Alex. 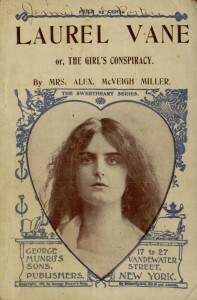 McVeigh Miller novel, Laurel Vane; or, The Girls’ Conspiracy. This is one of Mrs. Miller’s less over-the-top works, but that is not to say that it isn’t thoroughly melodramatic. The Laurel Vane of the novel’s title is a young orphan whose life changes dramatically when she agrees to impersonate a wealthier girl in order to enable that girl’s elopement. In true story paper fashion, there’s a lot of angst and romance (and a bit of murder) before the tale is done. The entire book may be read online (or downloaded in various electronic formats) at Project Gutenberg.